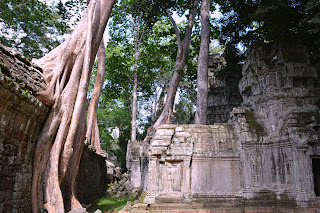 I had dreamt of visiting Ta Prohm since I had first seen Indiana Jones. 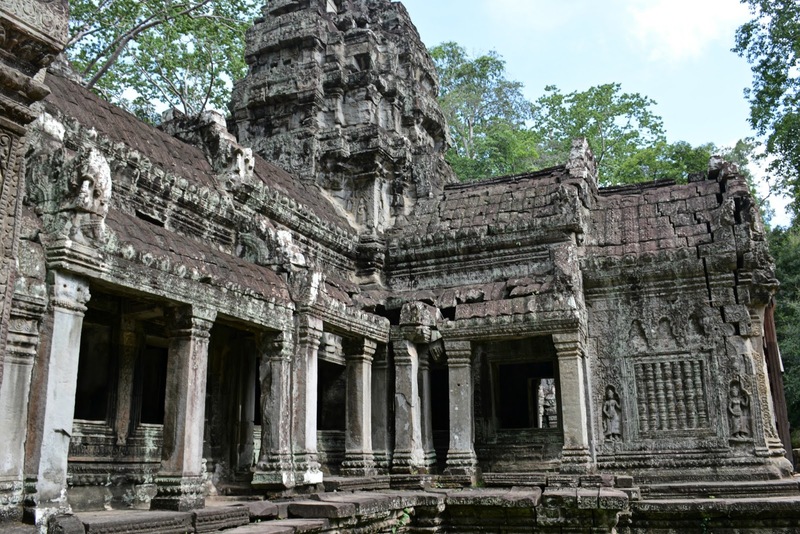 The thought of discovering lost civilisations seemed like such a cool job. 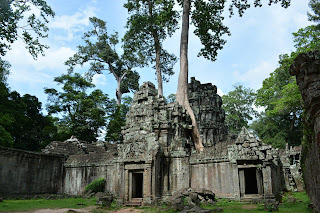 While younger me wanted to visit the temples for the adventure aspect, the older version of myself wanted to visit the temples to learn about the rich culture of the Khmer empire. 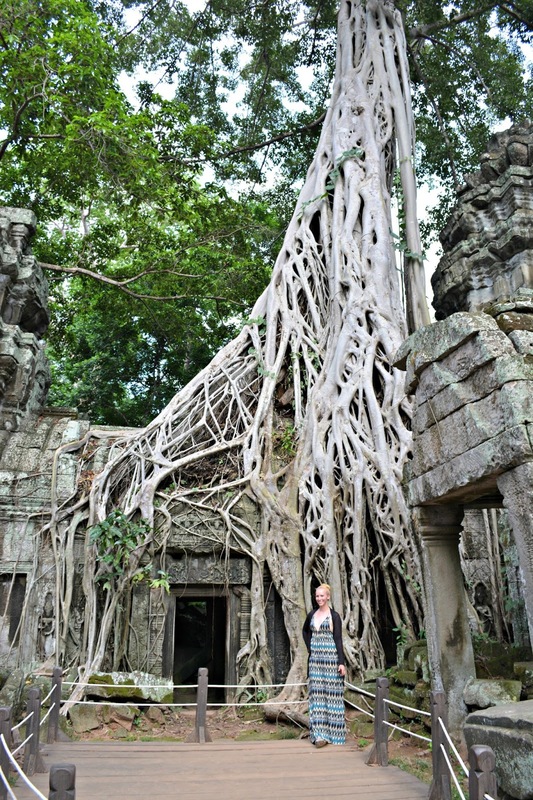 Right from the start, I was mesmerised by Ta Prohm. 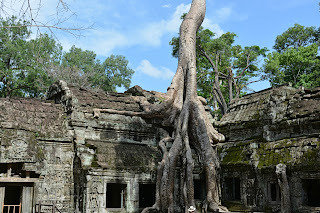 Once inside the temple, it was impossible to miss the strength of nature and how she has impacted this temple over the years. 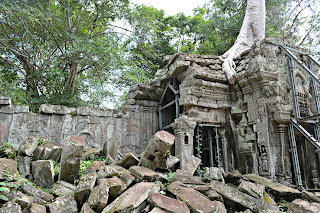 Even with the restorations taking place, it was still easy to stand in awe that nature has overcome a lot of the temple. 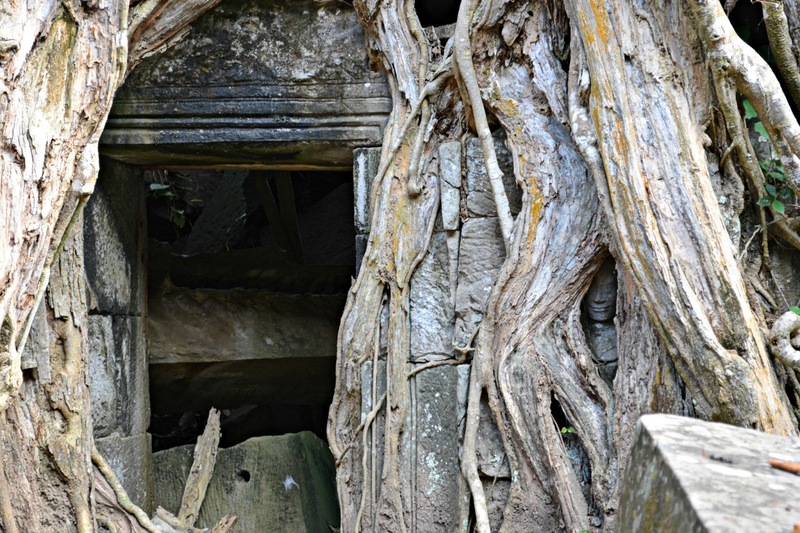 The ruins of this temple were especially intriguing. While some lay crumbled on the floor as a testament to how strong nature can be, others showed how the temple withered away over time. 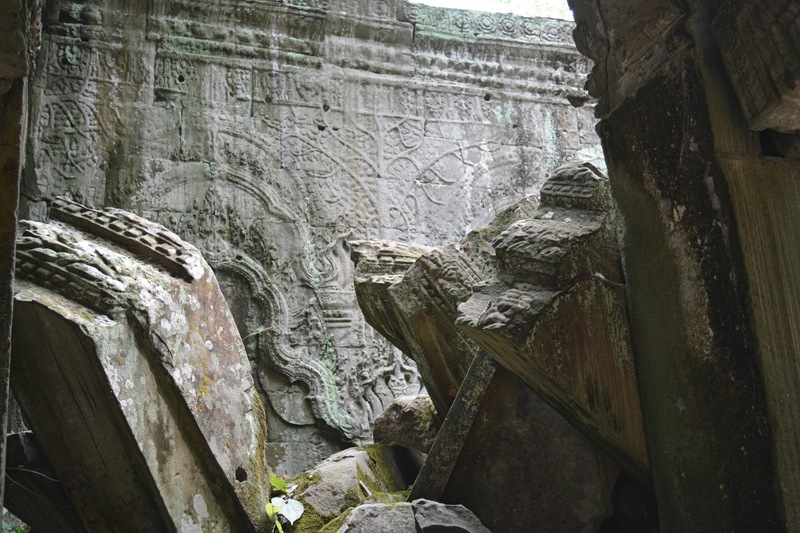 The intricacy of how the temples were built could be seen through the ruins. 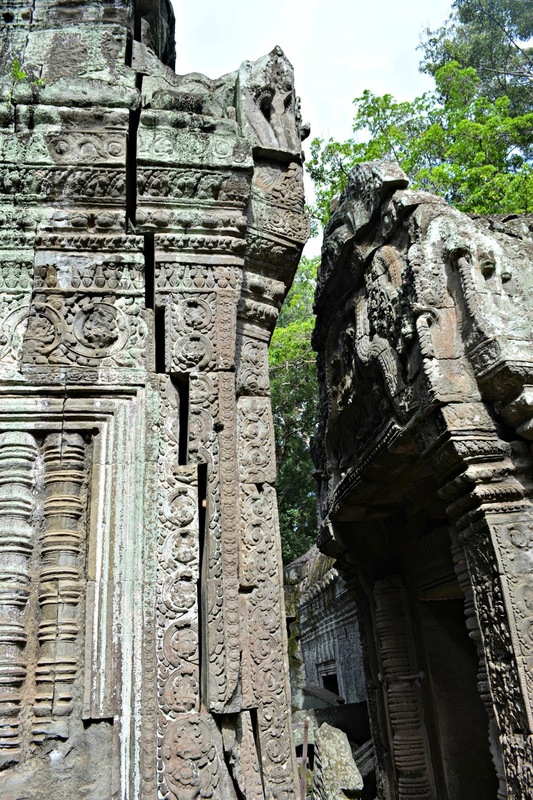 Each stone was meticulously ground and cut to fit just perfectly with the ones beside it. From there, more intricate detail were carved into the facade. 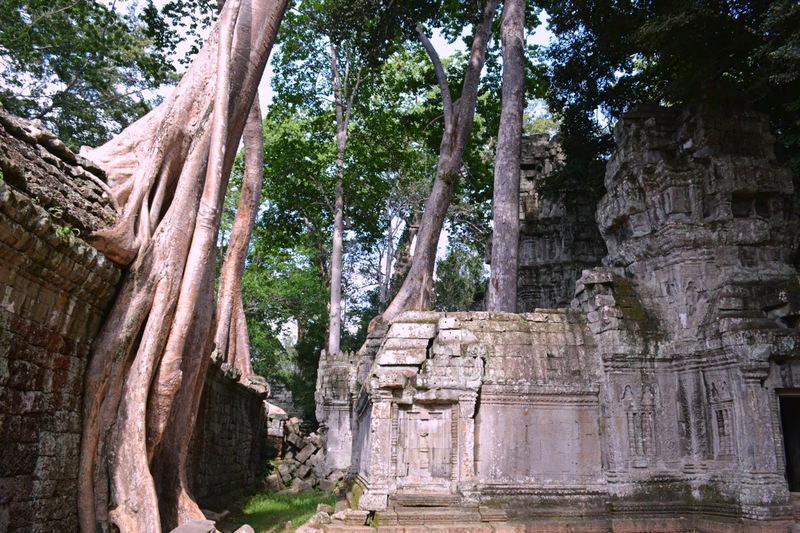 Just like the first temple, I did not want to leave. Everywhere I turned I found something new. 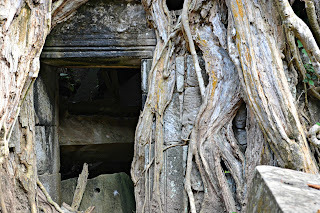 Whether it was a new detail in the carvings, a hidden face amongst the trees, or greater insight as to how the temple was built, I was constantly amazed and taking in new information. 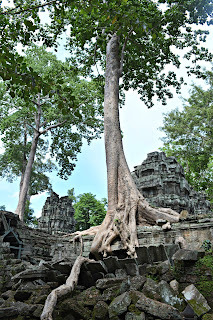 Alas, we did need to leave the temple because there were four more temples to see that day. 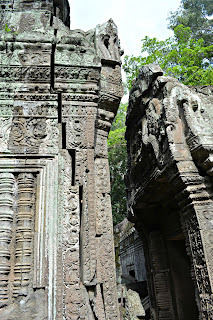 Our next temple on the small circuit tour were the Thommanon and Chau Say Tevoda temples. Keep an eye out for the photo guided tour of those two temples. Have you ever visited Ta Prohm? 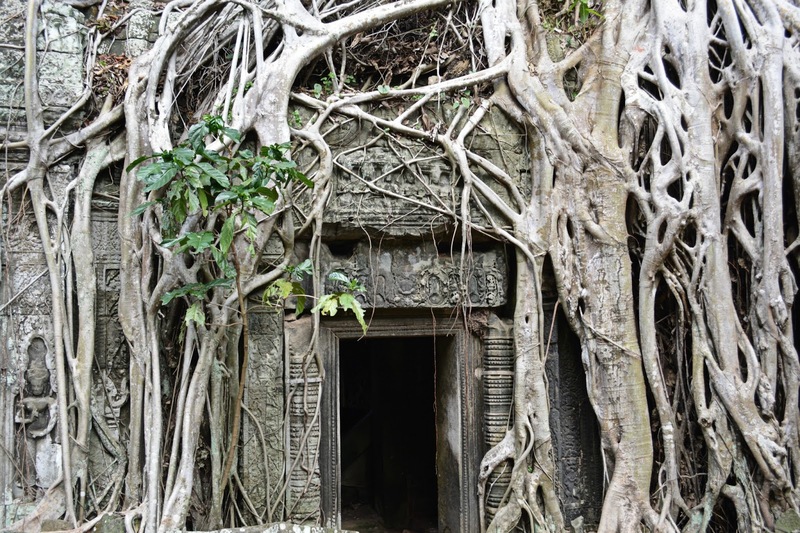 What did you think of the temple? I want to go visit a temple so badly. 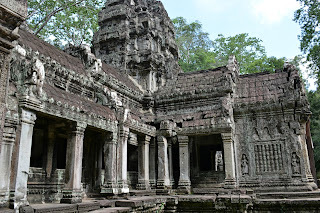 I have always been fascinated by world cultures and being in such an ancient building is exciting to me. Your blessed to have had such an amazing experience. 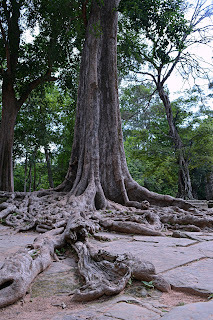 The Angkor temples are definitely a must see! There still are so many I want to see around the world though. You should definitely add Cambodia to your travel list! This looks so peaceful and such an amazing opportunity. Loved seeing your pics! They are hauntingly beautiful! Wow! 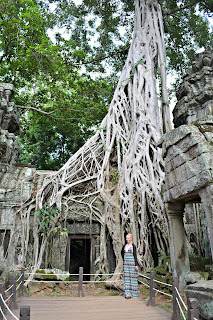 To experience these temples....that is really really cool! 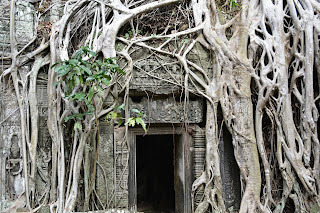 There were a number of times I uttered that this temple was hauntingly beautiful whilst we were walking through it. There was just something about it. So powerful yet so damaged. I am having a serious case of FOMO right now!!! These pictures are gorgeous, and I bet they don't even really do it justice!! 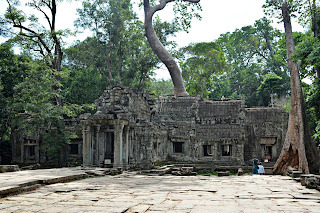 Thank you for putting this temple on the map for me, and excuse me while I go and dig up some Indiana Jones movies now! 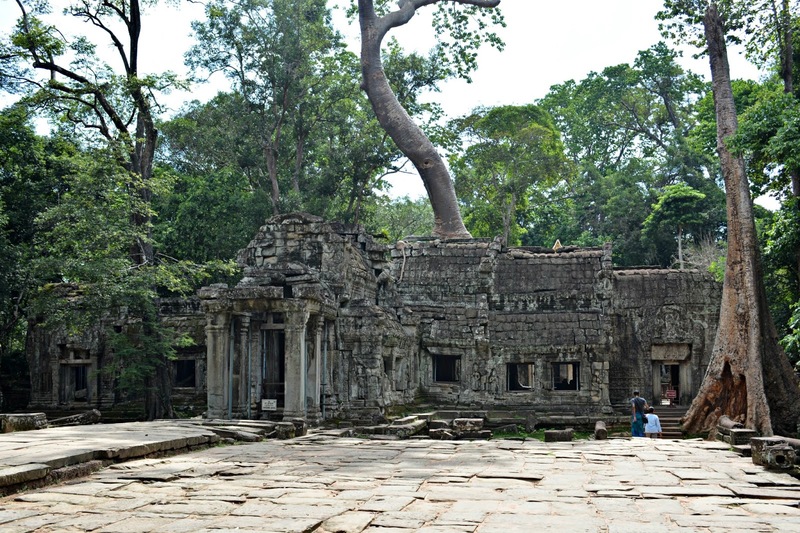 Definitely add Cambodia to the list of your travel destinations. It has been one of my favourite countries I've visited thus far. You're right. The photos don't even come close to how spectacular it was but I tried! What Is One Thing You Cannot Live Without?